MEMPHIS MAY FIRE's new "My Generation" music video has just debuted and you can check it out on KNAC.COM right HERE. The clip was filmed/edited by Sam Link and is comprised of footage shot while the band was out on <>Vans Warped Tour this past summer. The band is set to kick off their tour of Australia, Europe and the UK this fall, and is slated to play Warped Tour UK on October 18 in London, alongside BLACK VEIL BRIDES, ASKING ALEXANDRIA, AUGUST BURNS RED and many more. 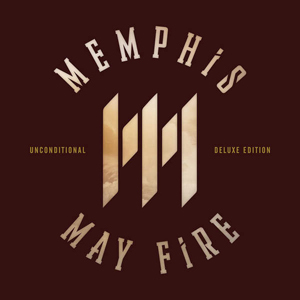 Unconditional (Deluxe Edition) is available for purchase and/or streaming at iTunes, Spotify, Google Play, Merchnow, Best Buy and FYE.